Sumit Choudhary was killed in Bulandshahr violence on December 3 in which Inspector Subodh had also died. Parents of Sumit Chaudhary, who died in the recent violence in Syana over the issue of cow slaughter, have threatened that they would commit self-immolation outside Chief Minister’s office in Lucknow on December 18 to protest the inclusion of the name of their deceased son in the list of the accused and ignoring their demands. Sumit’s father Amarjeet Singh said that all his dreams are shattered and he finds no reason to live hence he and his wife Neeta would self-immolate outside CM office in Lucknow on December 18. Singh is disgruntled as police have booked Sumit in the case which is different from his complaint. 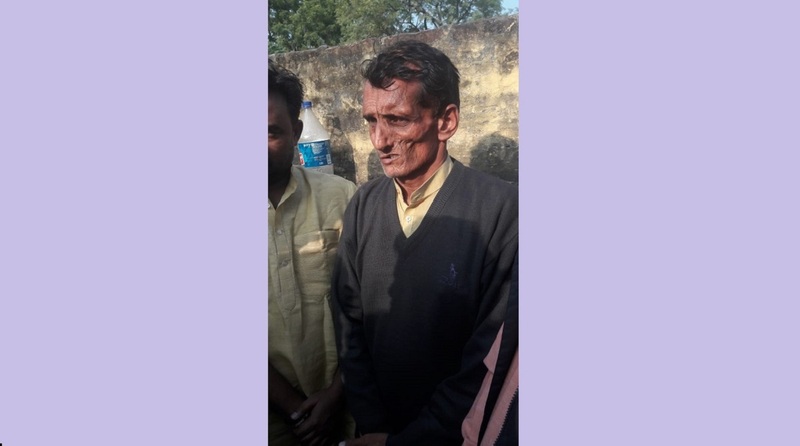 “Inspector Subodh Kumar Singh killed my son but he is being called a martyr while my son is declared a rioter and his name is included in the FIR of police,” he said. Not only this he also charged the officials of ignoring their demands and alleged that no one came to them to inquire about their problems. Sumit Choudhary was killed in Bulandshahr violence on December 3 in which Inspector Subodh had also died. The state government had announced an ex gratia of Rs 10 lakh and district administration assured Rs 5 lakh. But the family was demanding an ex gratia of Rs 50 lakh along with a job for Sumit’s elder brother Vineet. Not only this the family is also demanding that Sumit’s name is excluded from the FIR lodged by police after the violence broke out at Chingrawathi police station of Syana in Bulandshahr. It is being held that Sumit was spotted in a video of the incident in which he was reportedly shown being indulged in stone pelting. Meanwhile, Sumit’s father is now getting the support of some Hindu organisations of the area like Akhil Bhartiya Sant Parishad, Hindu Raksha Dal, Hindu Swabhiman Dal, and Rashtriya Jaat Ekta Manch. National convener of ABSP Yati Narsinghanand Saraswati, Hindu Swabhiman Dal’s National president Yati Maa Chetnanand Saraswati, Hindu Raksha Dal’s Pinki Choudhary, and Beerpal Singh of Jat Ekta Manch met the family members of the deceased and extended support to them as well as Jeetu Fauji, who is the main accused. They have declared to call a Mahapanchayat outside the DM office on December 30 and sit on a relay hunger strike with Sumit’s father Amarjeet at Kaala Aam crossing of Bulandshahr from Sunday. Chetnanand Saraswati announced to launch a big movement to raise voice against injustice with villagers and police high-handedness after Bulandshahr violence. She said that participation of Mahila Sansad members in good numbers would be ensured.